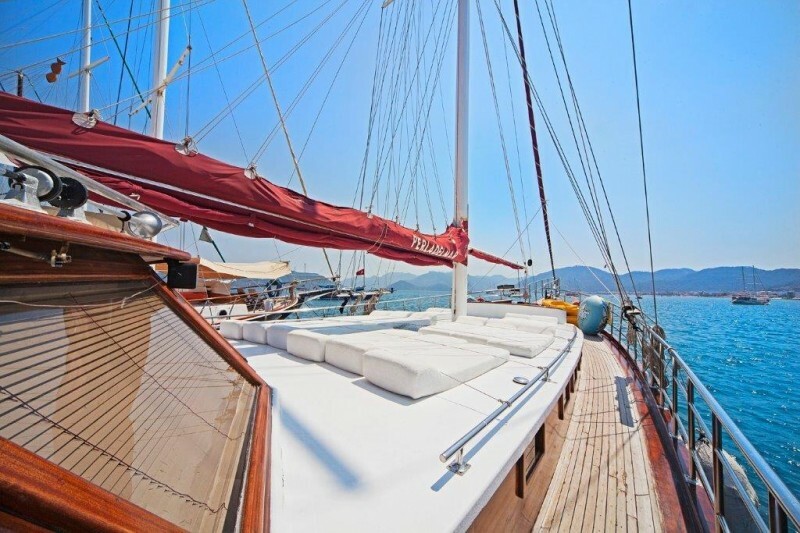 Turkish gulet Perla Del Mar is so very inviting to get the family or friends together for a great gulet holiday cruise along the Mediterranean coast of Turkey. 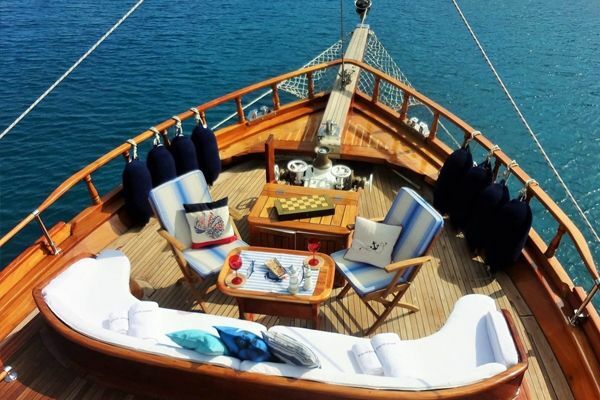 Relaxing and having fun is the rule on this classic wooden gulet. 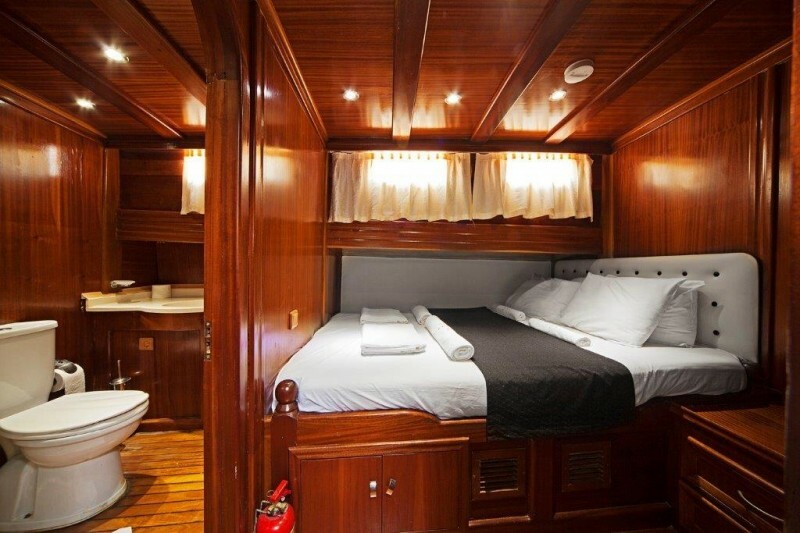 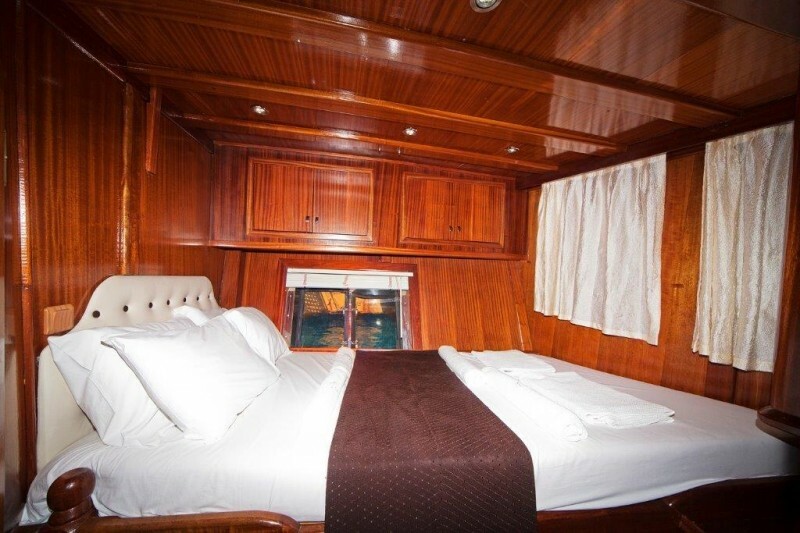 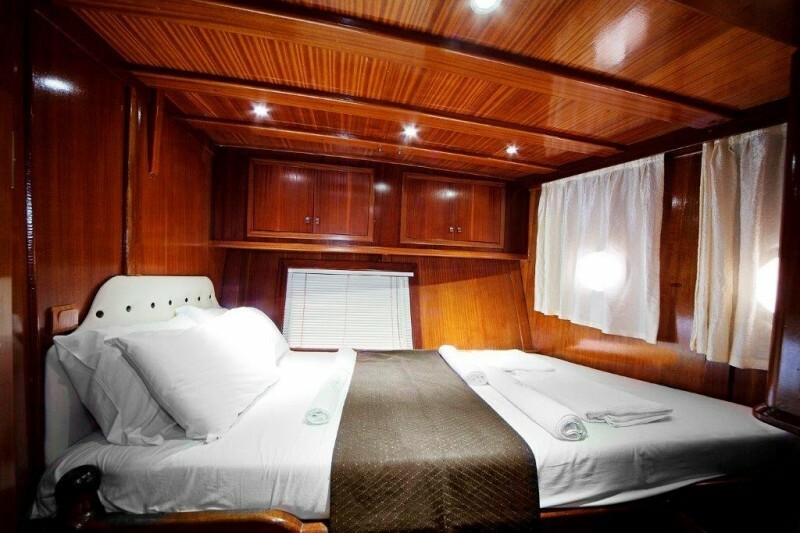 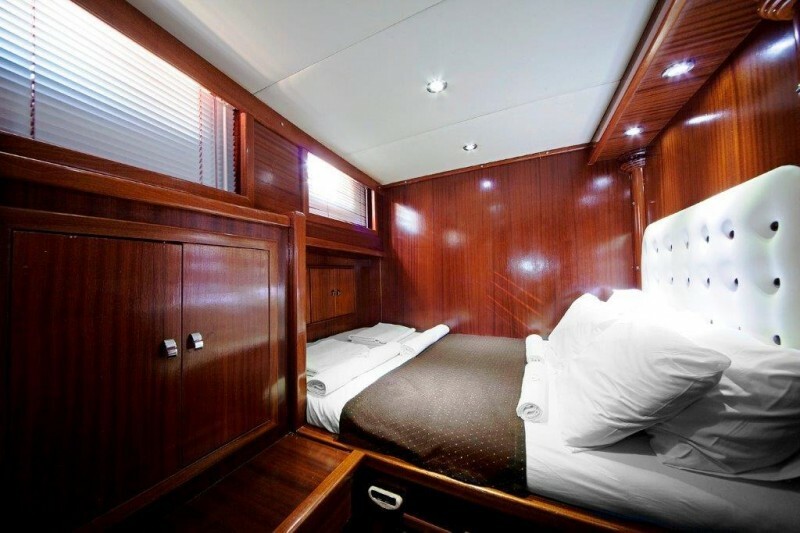 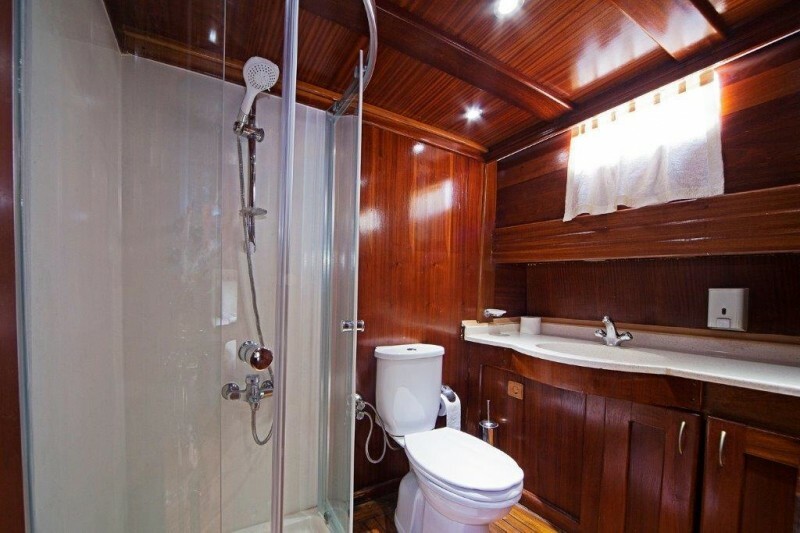 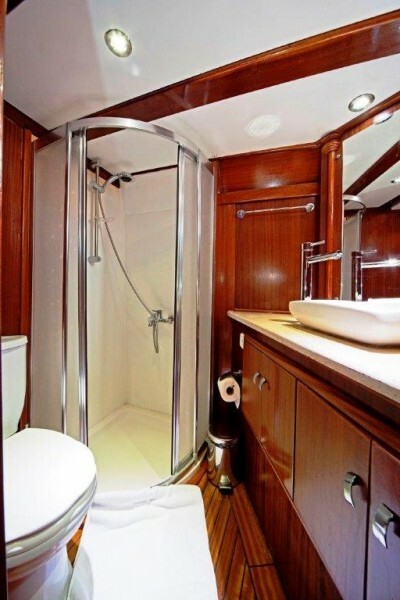 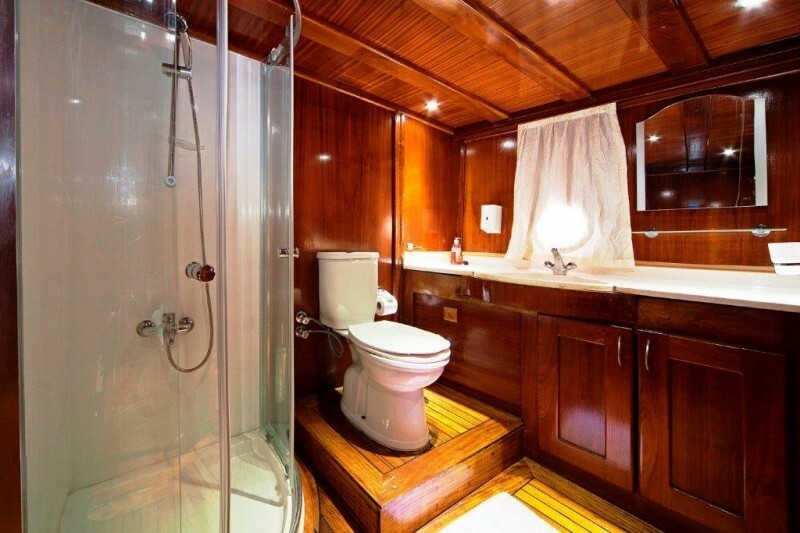 Each of the eight comfortable and well fitted cabins has a bathroom with shower/WC, and air-conditioning available. 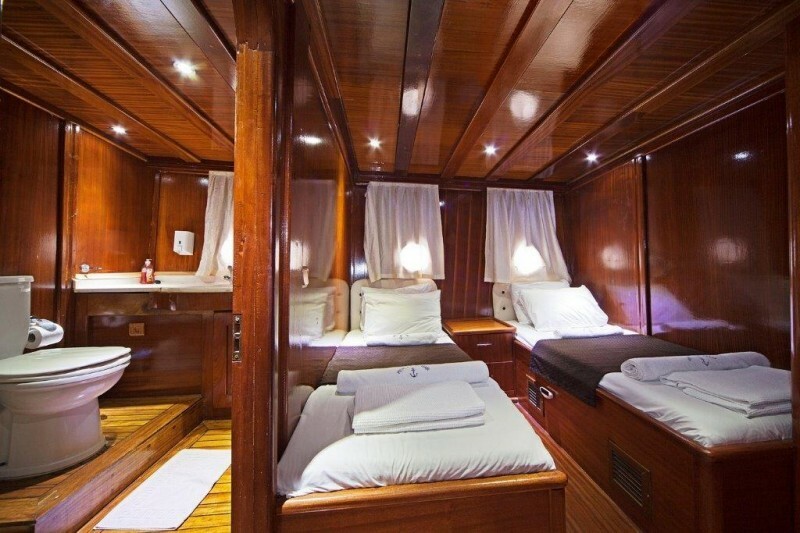 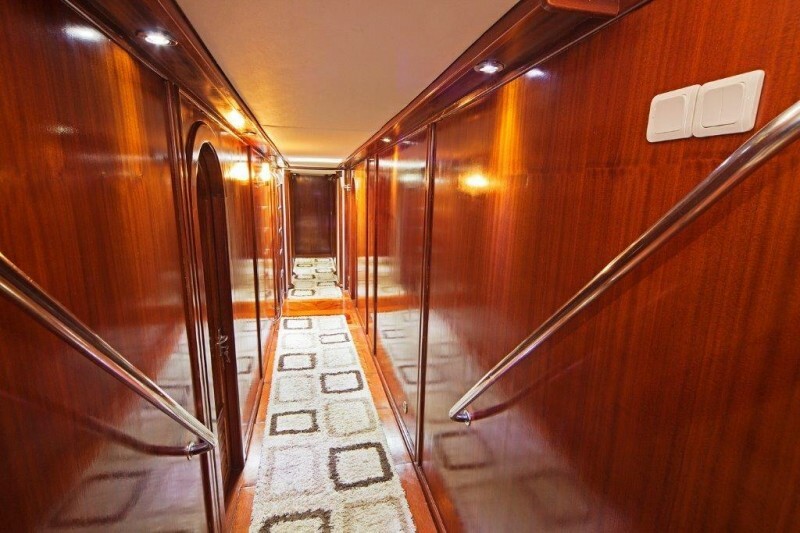 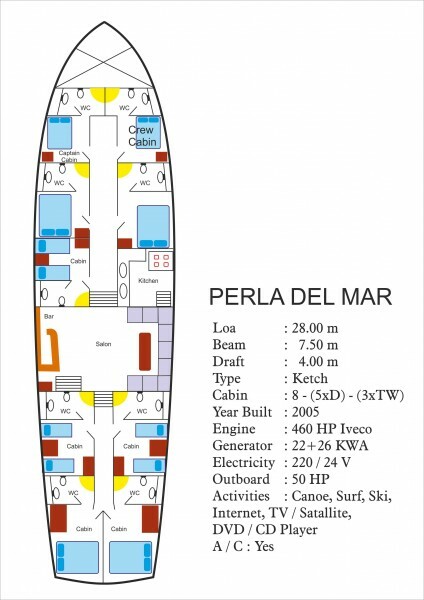 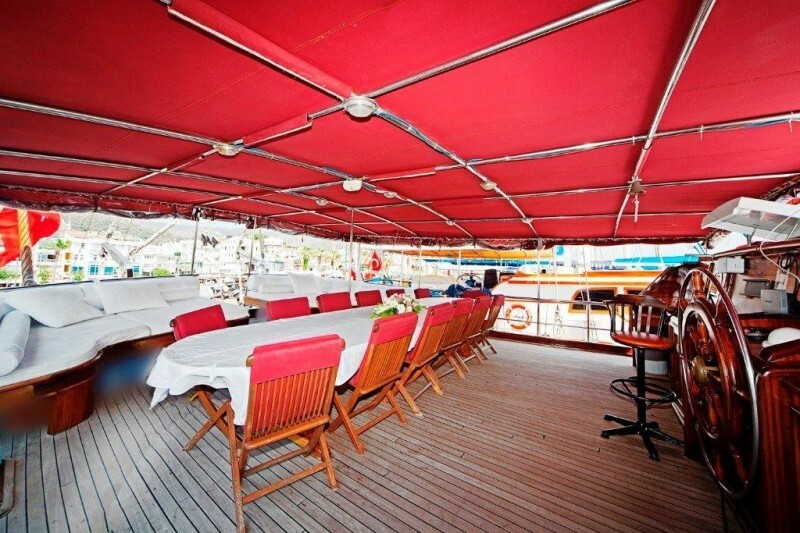 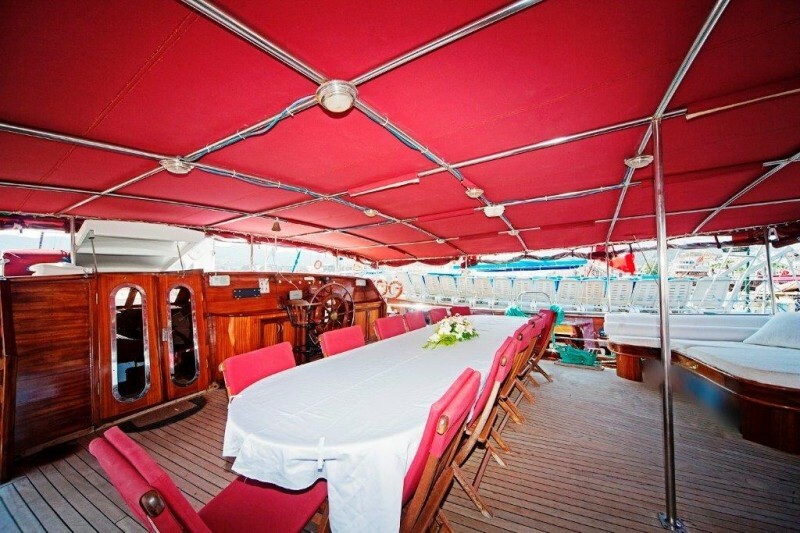 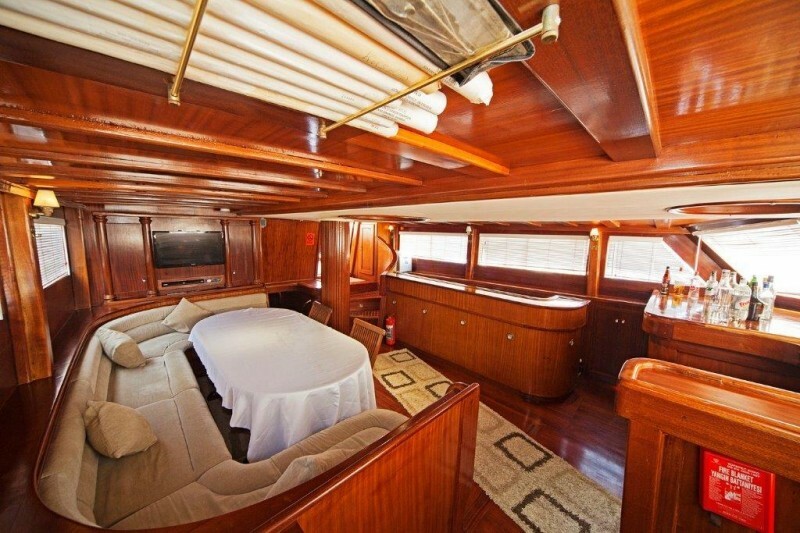 Two groups of twin and double cabins are divided fore and aft, by the saloon dining table, bar and galley between, allowing a party of up to sixteen passengers to enjoy space, privacy and comfort below deck or up on the spacious deck of Perla Del Mar. 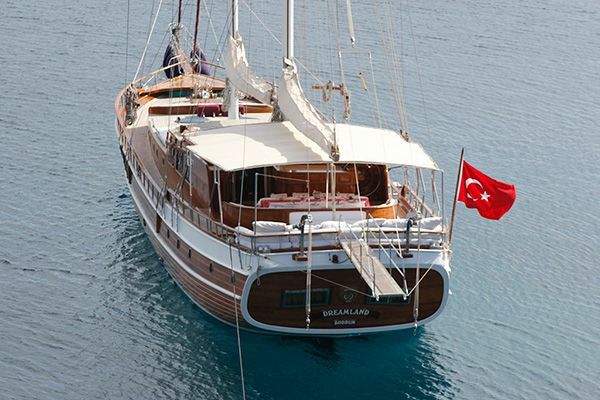 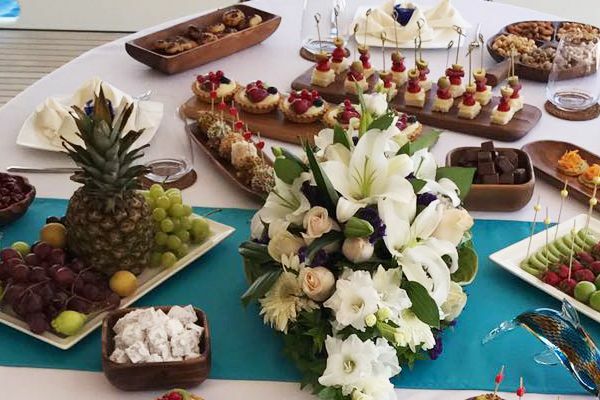 The air-conditioned saloon on gulet Perla Del Mar is an alternative spot for meals or relaxing, but the real joy of a gulet holiday is al fresco dining on the aft deck on a delicious array of Turkish foods produced daily in the galley. 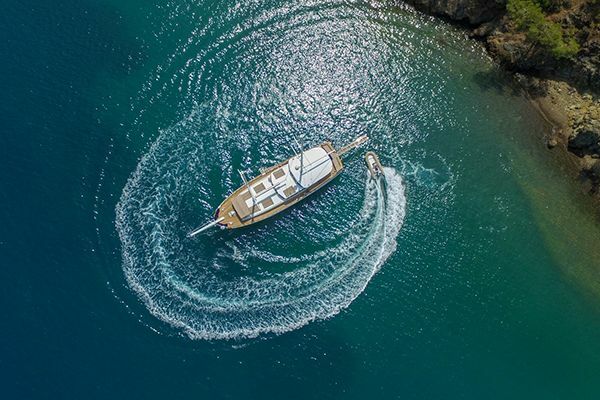 Spacious cushioned areas on fore and aft decks allow for catching the sun or the shade, while the turquoise clear water beckons the swimmers wherever the anchor is dropped. 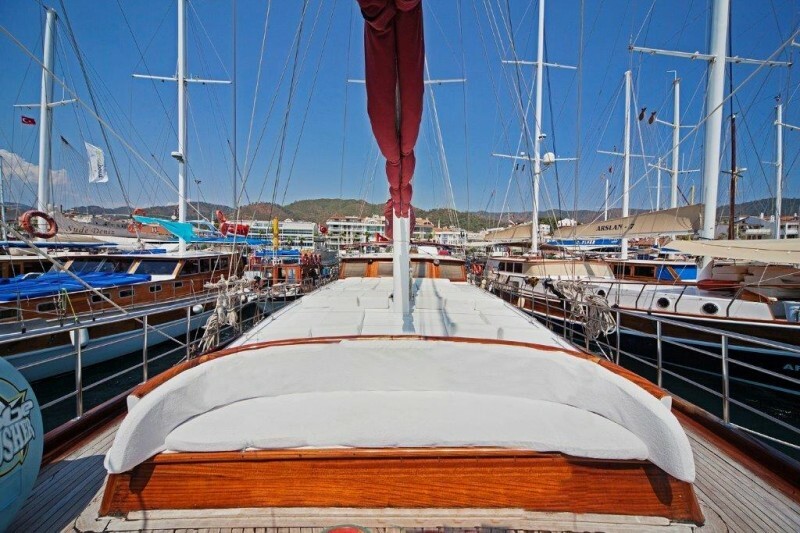 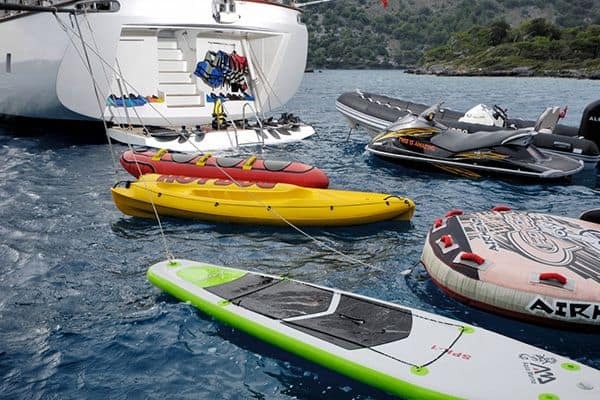 The crew of four on yacht Perla Del Mar looks after all your gulet holiday needs in a friendly, professional way, and will help you explore the incredible bays and little coves on the Mediterranean coast and some of the nearby Greek Islands.